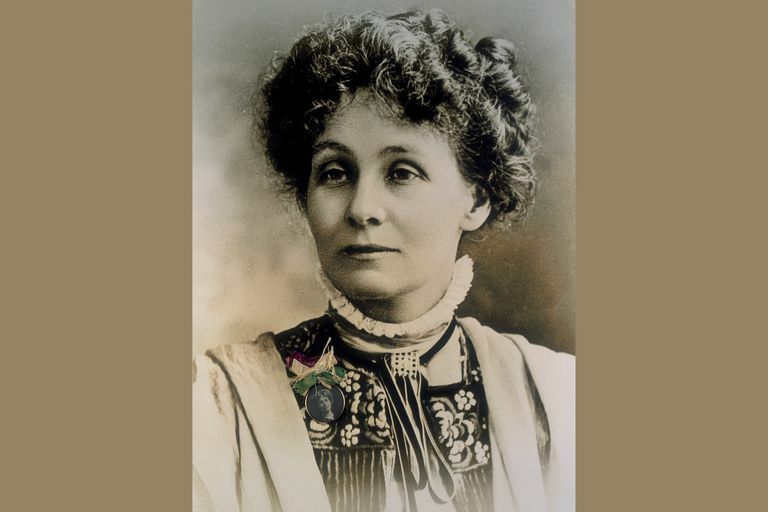 Emmeline Pankhurst was the best known of the leaders of the more militant wing of the women's suffrage movement in Great Britain in the early 20th century. The argument of the broken pane of glass is the most valuable argument in modern politics. Deeds, not words, was to be our permanent motto. Trust in God: She will provide. As long as women consent to be unjustly governed, they will be; but directly women say: "We withhold our consent," we will not be governed any longer as long as government is unjust. The moving spirit of militancy is deep and abiding reverence for human life. You have to make more noise than anybody else, you have to make yourself more obtrusive than anybody else, you have to fill all the papers more than anybody else, in fact you have to be there all the time and see that they do not snow you under, if you are really going to get your reform realized. I have seen that men are encouraged by law to take advantage of the helplessness of women. Many women have thought as I have, and for many, many years have tried, by that influence of which we have been so often reminded, to alter these laws, but we find that influence counts for nothing. When we went to the House of Commons we used to be told, when we were persistent, that members of Parliament were not responsible to women, they were responsible only to voters, and that their time was too fully occupied to reform those laws, although they agreed that they needed reforming. Governments have always tried to crush reform movements, to destroy ideas, to kill the thing that cannot die. Without regard to history, which shows that no Government have ever succeeded in doing this, they go on trying in the old, senseless way. I want to say to you who think women cannot succeed, we have brought the government of England to this position, that it has to face this alternative: either women are to be killed or women are to have the vote. There is something that Governments care for far more than human life, and that is the security of property, and so it is through property that we shall strike the enemy. Be militant in your own way! Those of you who can break windows, break them. Those of you who can still further attack the secret idol of property...do so. And my last word is to the Government: I incite this meeting to rebellion. Take me if you dare! How different the reasoning is that men adopt when they are discussing the cases of men and those of women. The militancy of men, through all the centuries, has drenched the world with blood, and for these deeds of horror and destruction men have been rewarded with monuments, with great songs and epics. The militancy of women has harmed no human life save the lives of those who fought the battle of righteousness. Time alone will reveal what reward will be allotted to women. What is the use of fighting for a vote if we have not got a country to vote in? Quote collection assembled by Jone Johnson Lewis. This is an informal collection assembled over many years. I regret that I am not be able to provide the original source if it is not listed with the quote.